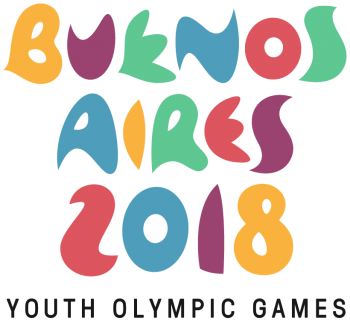 Buenos Aires, Argentina: The men’s and women’s hockey events at the Buenos Aires 2018 Youth Olympic Games get underway this Sunday, 7 October, in Argentina’s capital city. The opening match of the men’s event is a Pool A clash between Mexico and Poland while India and Austria open the women’s competition. The Hockey5s events run until Sunday 14 October, with the gold medal matches taking place at 15:00 (men) and 16:30 (women) on the final day (all times Argentina Standard Time – GMT/UTC -3). For the 12 men’s teams and 12 women’s teams competing, it is the first steps to realising a dream. The Youth Olympic Games provides the platform from which promising young athletes aged between 15 and 18 can launch spectacular international careers in their chosen sport. The 216 athletes playing in the men’s and women’s hockey events at the Buenos Aires 2018 Youth Olympic Games couldn’t have wished for a better place to become a young Olympian. Argentina is a country that is passionate about hockey and the packed stands will be full of fanatical and knowledgeable hockey spectators. One athlete who knows all about playing on the biggest stage is India women’s Lalremsiami. Winner of the Under-21 Rising Star at the 2018 Asian Champions Trophy in Korea, the prolific striker made her senior team debut in 2017. Earlier this year she was one of India’s star players at the Vitality Hockey Women’s World Cup in London. With India women making their debut at these Games, a medal would be a nice entry point to the competition. Hockey is well-known for its family values, with young players being introduced to the game by their hockey-playing parents. At the third Youth Olympic Games, those family ties are very much in evidence. Brothers Tomasz and Eryk Bembenek will be hoping to bring home a medal and shine the spotlight on hockey in Poland. Austria’s Isabella Klausbruckner will be very conscious of following her coach’s instructions, because Head Coach Heinz is her father. Hockey heritage runs deep in the Klausbruckner household with mother Sandra playing for Austria in the 2011 Indoor World Cup. Brothers Brad and Craig Marais are just two of the Australian team that are looking to continue Australia’s unbeaten run at this event. The team won gold in 2010 and 2014 and will be looking to repeat that feat this year. The Australia team has a number of multi-talented sportspeople. Christian Starkie is also a talented squash player while James Collins is a promising cricketer. Reigning women’s champions China will be looking to repeat their win from 2014. In Nanjing 2014, the China team beat the Netherlands in a highly competitive final – it finished 5-5 and China went on to win the shoot-out. This year, competition will be fierce however, and no team will be searching for gold more determinedly than the young Leonas of Argentina. At their helm is a Head Coach who knows all about winning. Carlos Retegui led the Argentina men’s team to a gold medal at the Rio 2016 Olympic Games. He also won bronze with both the men’s and women’s teams at the 2014 World Cup. ‘Chapa’ as he is also known, is now hoping to better that performance by leading both the men’s and women’s teams to gold medals at the Youth Olympic Games in his homeland. Five continents are represented at the Games and the inclusion of debutant teams such as Zimbabwe – whose women’s team remain the only African side to win a medal at an Olympic Games when they took gold in 1980 – is a demonstration of the increasing global reach of the game. Another African nation, Zambia, has called on youth as well as experience. Their men’s coach is Samuel Tagwireyi, who competed in the 2014 Youth Olympic Games. To keep up to date with all the Hockey5s action from the Youth Olympic Games, click here.